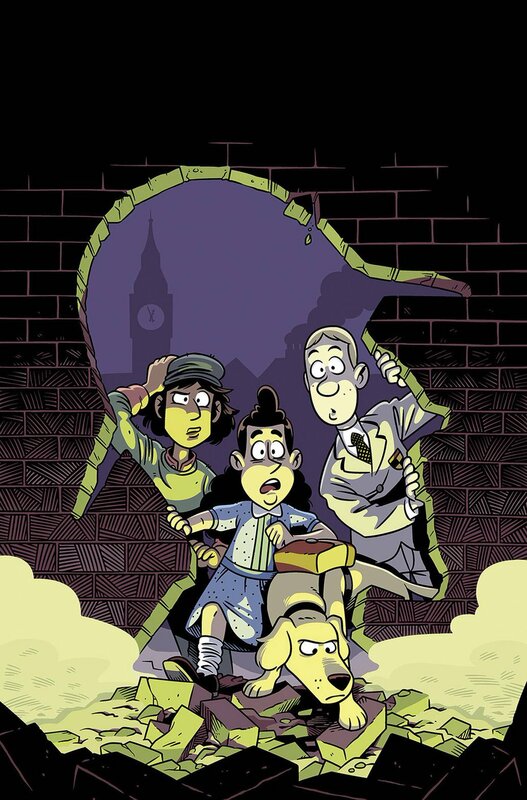 New today at your comic book store: The Baker Street Peculiars, a comic written by me and drawn by Andy Hirsch, with colours by Fred Stresing. I'm very happy with it – all of the all-ages hijinks, Sherlock Holmes references, supernatural shenanigans and frankly fabulous cartooning you could wish for. Pick one up if you're so inclined. From our friends at Boom! Studios, as is so often the case. Bit behind on my comics but I finally sat down to read the four issues. Great job by the whole team. Very enjoyable. I'd think a trade paperback for this little run should do well as it would be nice and contained in one volume. Still waiting for an oversized single hardcover collection of Snarked! Thanks! And I'd love a bit fat Snarked! collection too... not holding my breath or anything, but that would be really nice.